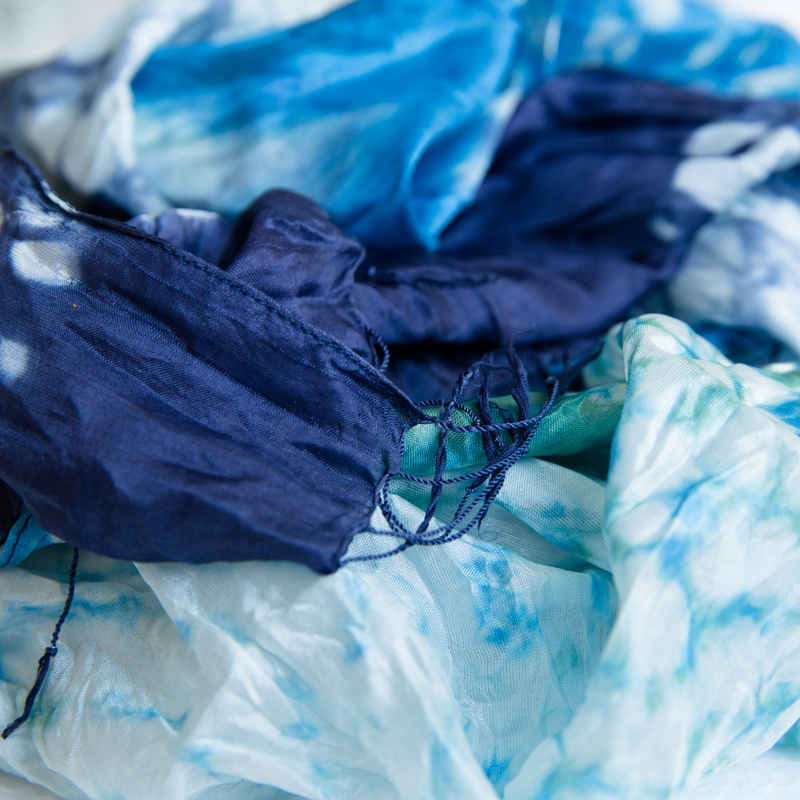 Silk tie-dye scarf from northern Thailand. A cool scarf to support your cool look! This lovely soft and supple silk scarf is handcrafted by Vinita, a very talented artisan who lives in the North of Thailand. Vinita is a colour expert and well-known for her knowledge of complex dyeing techniques. This blueish piece has been tie-dyed by hand. Layer by layer.